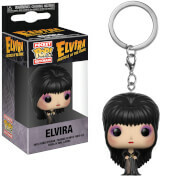 Brand new Elvira Rock Candy Vinyl figure! Okay, so Elvira: Mistress of the Dark might not be the best movie out there. However, Elvira is a classic character and now you can celebrate the famous horror-comedy with this new Rock Candy Vinyl figure!